Probably one of the most influential people in OECD policy has been Hanushek. 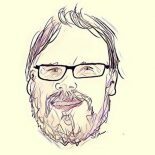 For someone from the Netherlands, the constant ‘bashing’ of selection and ‘early tracking’ has been particularly noteworthy. 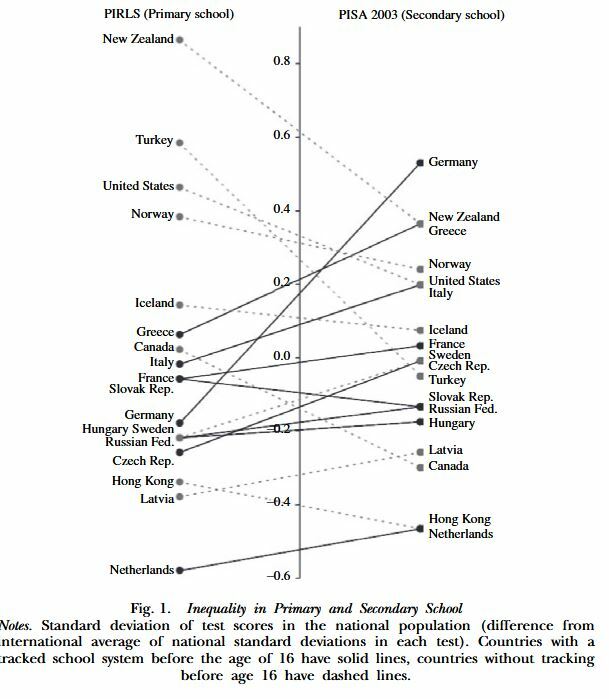 Mainly, because anecdotally I feel that system equality is a big factor, and also because ‘despite’ early tracking the Netherlands tends to do reasonably well in large-scale assessments (except, for some years now TIMSS year 4, which is worrying). I have got some issues with the inference that ‘early tracking’ tends to increase inequality, based don this data, certainly for the Netherlands. The data is based on the dispersion of achievement (standard deviation). The Netherlands has the lowest spread in both situations, but contributes to ‘early tracking is bad’ because the SD increases. Yet it still is lowest of all included countries. PIRLS and PISA reading are two very different large-scale assessments. PIRLS is published by the IEA and their studies tend to be more curriculum focused, while PISA reading less so. I don’t think you can compare them this way. This also is hard because, as far as I know, the cross-sectional sampling is different, with one looking at classrooms (PIRLS) and the other schools (PISA). At least, that is the case now. There are several years of schooling between the two measurements, and also the samples are different. Achievement scores in large-scale assessments are typically standardised around a mean of 500, and standard deviation of 100. Standardising this again to help a comparison of two completely different tests seems rather strange. Especially if you then argue that the *slopes* denote increase or decrease of inequality. Finally, of course, causation/correlation issues. In sum, I think it is an original study but hard to draw conclusions. This entry was posted on November 7, 2017 by cbokhove in Education, Education Research.